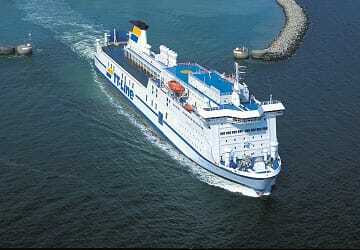 The Trelleborg Rostock ferry route connects Sweden with Germany and is currently operated by 2 ferry companies. 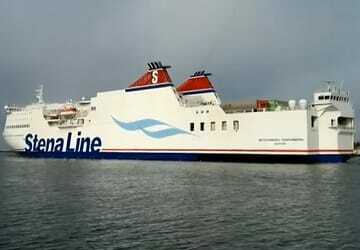 The Stena Line service runs up to 3 times per day with a sailing duration of around 6 hours while the TT Line service runs up to 3 times per day with a duration from 5 hr 30 min. 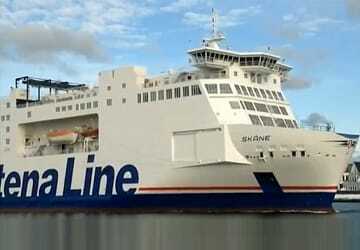 So that’s a combined 42 sailings on offer per week on the Trelleborg Rostock route between Sweden and Germany. Compare now and get the best fare at the time that you want to travel. Prices shown represent the average one way price paid by our customers. The most common booking on the Trelleborg Rostock route is a car and 2 passengers. 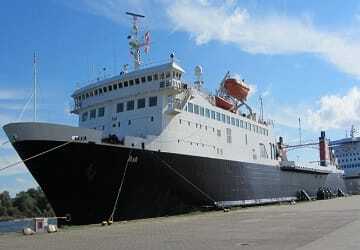 "Trellborg to Rostock with TT Line"
The German city of Rostock is the largest city in the north German state of Mecklenburg-Vorpommern and lies around 12 km from the Baltic Sea coast, on the banks of the Warnow River. Founded in 1419, the city's university, the University of Rostock, is one of the oldest in Germany that has been in continuous operation and is also one of the oldest universities in the world. The university's botanical garden, the Botanischer Garten Universitat Rostock, is open to the public and is a lovely place to visit. Drawing on the city's maritime connections, Rostock is also home to the annual Hanse Sail Festival which is where you will be able to see many large sailing ships and museum vessels taken out to sea. The festival is very popular and attracts around 1.5 million visitors each year. Also hosted by the city is the annual jazz festival called Ostee-Jazz (Baltic Sea Jazz) and is held every June. The city's port is one of the most important ports in Europe and is Germany's largest. 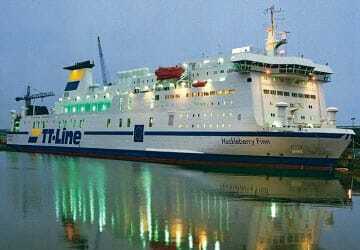 Ferry services operating from the port depart to Gedser in Denmark (2 hours), Trelleborg in Sweden (5 hours and 45 minutes, with a super fast ferry travelling to Hanko in Finland with a crossing time of 22 hours.